Flower Explosion offers Spray Roses for sale. Smaller in size than garden roses spray roses have multiple blooms per stem. These lush and abundant flowers are farmed mainly for the florist trade and are available in various colors. 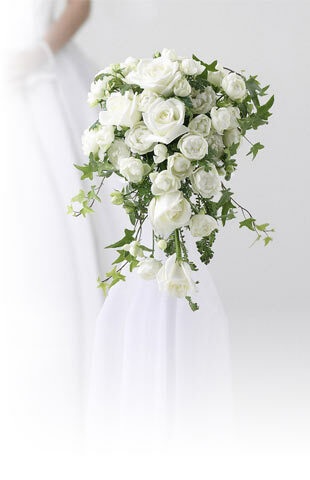 A favorite for use at weddings, spray roses can be combined with other flowers to make a lush bouquet or centerpiece. Miniature spray roses are perfect for a corsage or for small-scale arrangements. Like our garden and other roses, our spray roses are grown in the rich, volcanic soil of the Andes foothills, enjoying 350-plus days of sunshine, and a perfect temperate climate to enable us to produce roses at the highest quality. Order them in red to say "I love you", yellow for a celebration or pink to thank that special person in your life. We have a large variety of colors to choose from, a color for every occasion, for every emotion, for every person. Browse and sort (on the left) by type of rose and color. 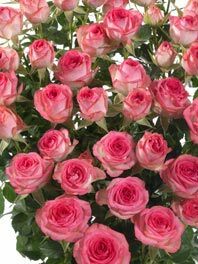 Be sure to check out our tinted rainbow roses, classic roses, David Austin roses, fresh rose petals, black roses and more. If you ever aren’t fully satisfied with your order, please take a photo of the flowers within 24 hours and let us know. We'll begin the refund process and do our best to make you smile!